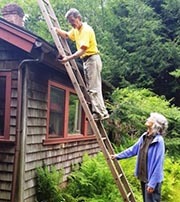 Village Neighbors was founded to help aging adults lead independent and engaged lives at home. We are a member/volunteer run organization serving the residents of New Salem, Leverett, Shutesbury, and Wendell . 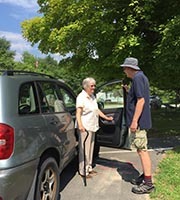 Our volunteers help members by providing transportation, helping hands for small tasks at home, friendly visits and computer help. Members call our virtual office to connect with our village call manager to arrange for a requested volunteer service. 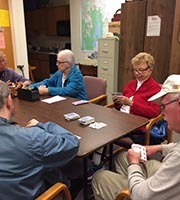 All of our volunteers are dedicated to helping seniors. You can also have access to a list of vendors for additional fee for services vendors. The fact that Village Neighbors is completely member/volunteer run allows for a reasonable annual fee. Subsidized memberships are available where there is a need. Village Neighbors launched on October 15, 2018. We are a member of the Village to Village Network, linking it with over 200 open Villages and more than 150 Villages under development across the United States. 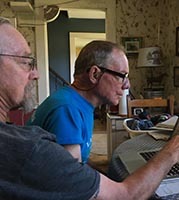 Volunteers will give technical support for electronic devices and simple computer problems. Volunteers will provide members assistance with occasional household tasks or yard work and minor repairs. Volunteers will provide transportation to appointments, visits with friends, social and cultural events, grocery or other shopping trips.